Gimme a Break! The hit '80s sitcom, Gimme a Break! is coming to TV One! Hot off of their acquisition of What's Happening!! in March, TV One will add Gimme a Break! to its schedule beginning Friday, May 3, 2013. The sitcom will join the Friday night comedy block featuring classic sitcoms. 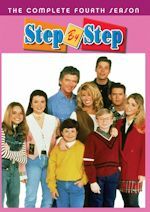 The series has not regularly aired on cable in about 15 or so years when USA Network aired it weekday mornings. The series has aired in a couple of markets in local syndication in recent years, but that's it. We last saw the sitcom on cable back in 2006 when TV One aired a special day marathon in celebration of the series' first season coming to DVD. However, it was just a stunt marathon and this will be a regular addition! TV One will air Gimme a Break! Fridays from 8-9pm and also 11pm-12am beginning Friday, May 3. It will kick-off the new Friday night comedy block line-up. Sanford & Son will return to the TV One line-up and air Fridays 9-10pm (encores 12-1am). What's Happening!! will be moving timeslots to 10-11pm now, instead of the current 11pm-12am hour. The series will also encore 1-2am. Only Gimme a Break! doesn't encore, as the 11pm-12am airings are different from 8-9pm. With the addition of Gimme a Break! and the return of Sanford & Son, this means That's My Mama and The Jeffersons are not going to be a part of the Friday night comedy block schedule. 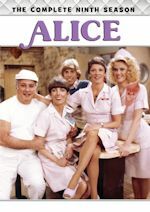 Not to worry, as they are still airing on the schedule on other days, with The Jeffersons remaining weekday mornings and its Tuesday daytime marathon block. You'll also see sitcom marathons/stunts continue on Saturdays after the Good Times block beginning at 2pm, with What's Happening!! getting a block on Saturday, May 4 from 2-6pm featuring the first eight episodes. You will also see Sanford & Son and What's Happening!! pop-up Sunday mornings with an hour each from 8-10am beginning May 5. No word if Gimme a Break! will regularly air yet on any other day besides Fridays, but you'll for sure see it pop-up on the Saturday stunt block from time to time after 2pm. 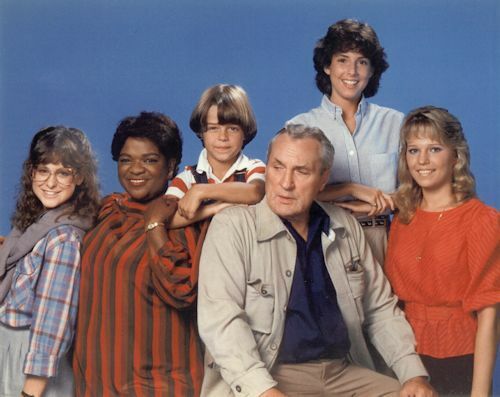 In Gimme a Break!, the late singer/actress Nell Carter starred as Nell Harper, housekeeper and den mother to the three daughters of the Kanisky Family, headed by Dolph Sweet as the recently widowed local police chief. 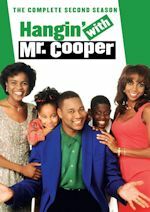 Controversial in its day for the 'stereotypical' set-up of a wise-cracking and overweight Black housekeeper who takes care of a white family, the show nevertheless endured six seasons on the strength of Carter's powerful persona, strong comic timing and musical chops. 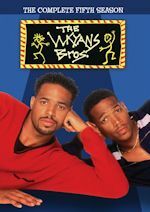 The show featured rare guest appearances from some of the biggest stars, 'before they were stars', including Whitney Houston, Dennis Haysbert, and Danny Glover. Before Gimme a Break stars, we'll have some Friday night comedy block stunting going on in April. TV One's popular reality series R&B Divas Atlanta returns to the network for its second season premiere Wednesday, May 1, 10PM/ET. In celebration, TV One is branding the month of April "Destination Divas" and will pack the network's schedule with a mix of new original specials, iconic movies and sitcoms plus encores of R&B Divas season one. We of course are interested in the sitcom part. In April, TV One will turn the Friday night comedy block into marathon stunts for "Destination Diva." TV One tells us that each week the sitcom marathons will be focused on the "divas" of the series. For instance, Whitley from A Different World and Regina from Living Single. The April marathons for Fridays are as scheduled from 8-11pm (encores 11pm-2am): The Jeffersons on April 5, Eve on April 12, A Different World on April 19, and Living Single on April 26. The regular Friday night comedy block schedule will return on May 3 with the addition of Gimme a Break. The last regular Friday night block schedule for the current schedule is this Friday (March 29) before a new line-up begins on May 3. Stay with us for continued updates.